Unfortunately I'm away on holiday so gonna miss this, but if any of you are interested! 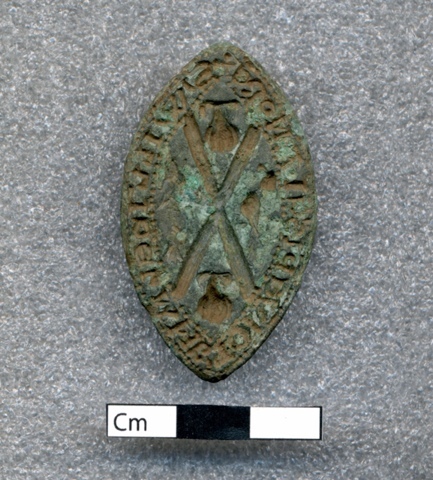 Dr David Caldwell- President of the Society of Antiquaries of Scotland and Fife Cultural Trust Trustee will illuminate a recent acquisition on display in 'Treasures Found', a Medieval seal matrix belonging to Bishop William De Lamberton of St Andrews and explore these miniature Medieval works of art. Nice, I hope you and metal detecting gets a mention. Well done! What a shame you will miss it. ...well done Abz, you should ask him for a copy of the presentation after he has made it? It was your talk and presentation at Charlestown last year that got me started detecting. I'm sure this one will be better that the one I did at Charlestown Len. Glad it got you started though! !